The SIDI Armada Gore Tex Boot is two boots in one! Featuring a wrap-around upper with ankle support beams can be removed to transform the Armada from an adventure boot to a touring boot. Equipped with the world famous Gore Tex highly breathable and waterproof membrane to add a waterproof yet highly breathable barrier between the elements and the rider’s feet. 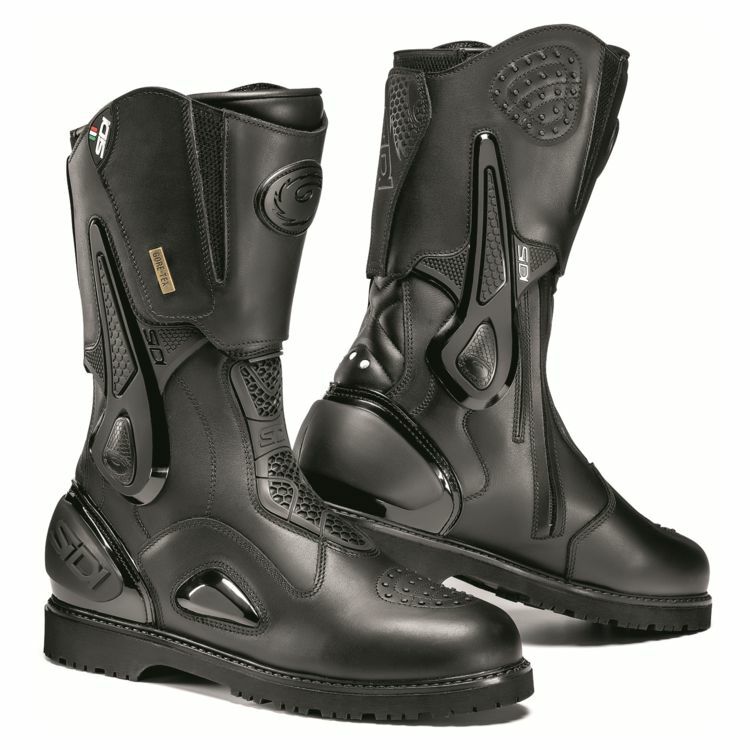 The Gore-Tex membrane breathes more than any other membrane, thus the rider’s feet will stay cooler in warm weather with a Gore Tex equipped boot. The Armada is lined throughout with a lightweight, perforated, Teflon-treated fabric in order to allow moisture to "breath." This moisture is quickly transferred to the top grain microfiber outer, which causes it to dry quickly with no mold build up.